Inspired by O’reilly’s Four Short Links, here are some of the things I’ve seen, read, or watched recently. News is a cross-media phenomenon characterised by high redundancy. Living in a newssaturated culture, people often feel sufficiently informed about major ongoing news stories; just reading the headline can be enough to bring people up to date about the latest events. 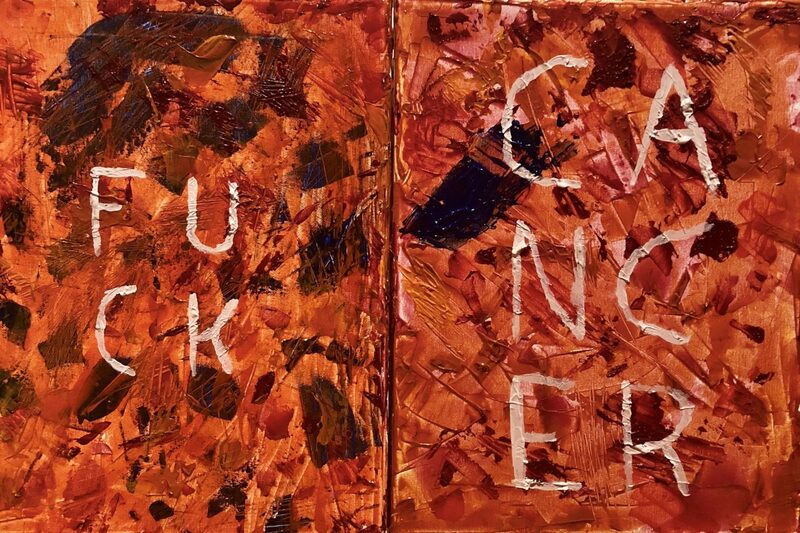 Jasper Johns continues to callback to previous works while introducing new motifs and styles. The 88 year old artist shows off why he is the living artist who’s works sell for the most. This show is on view at Matthew Marks Gallary (522 West 22nd Street) until April 6. Josepha identifies the importance of creating safety when it comes to leadership and identifies what safety is, namely physical, psychological, social, and moral safety. I’ve been really enjoying her writings around leadership lately and has definitely helped me think about how I can apply the ideas to my leadership style. I’ve started researching presentation libraries to see what has changed in the last year. Spectacle was available last I looked, but it seems like it has come a long way and I’m thinking it might be time that I give it a try. Four Short Things is a series where I post a small collection of links to art, news, articles, videos and other things that are interesteing me. Follow my RSS feed to see Four Short Things whenver it comes out. 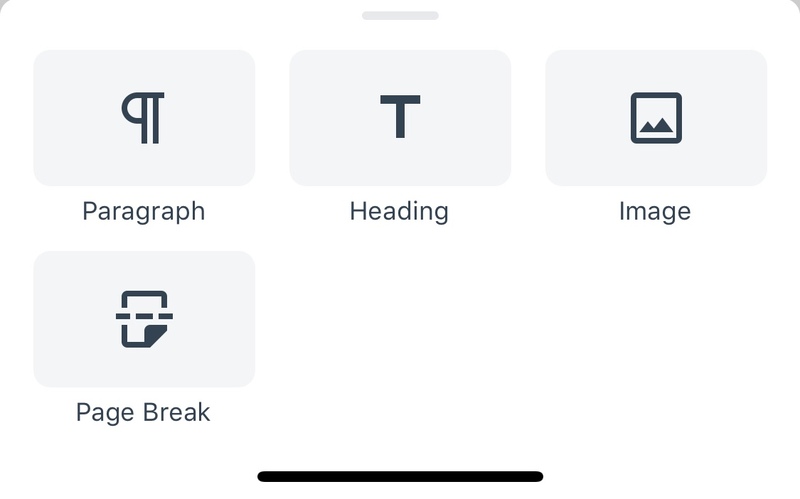 I’m writing this using a beta version of the WordPress iOS mobile app that integrates Gutenberg. It is fairly stripped down as far as blpacks go. While this site has blocks from multiple plugins (including Gutenberg so I can try the latest features), the app has much fewer options. I was definitely surprised to not see all the core blocks, especially not to see my reusable blocks that I have saved to the site. Another thing that surprised me as a power user is that slash commands for new blocks don’t work. I also can’t figure out how to access the block inspector to save options on differnet blocks. Opening up posts with blocks in them other than this initial set shows those blocks as “unavailable”. This includes all the embed blocks. The responsiveness of the editor is amazing, and the ability to move blocks up and down makes editing inside the mobile app much easier. Overall, as a version 1, I like it. I also think that it has long way to go before I will abandon opening a mobile browser for the majority of my on the go blogging. My first interactions with Alex were in the #wordpress IRC channel, likely him helping me with some code. Over the coarse of a couple of months, we joked around and chatted code. At some point the mention of his username prompted the question of if he had a Viper, but I found out he didn’t even have a driver’s license! I didn’t even realize that this person I was becoming friends with lived in my city, but when I mentioned WordCamp Portland I found out I would actually get to meet him in person. Alex became the first person I met through WordPress chats that I got to meet in person. At WordCamp Portland 2009, Alex led an unconference session on Advanced WordPress development. I think that Matt Mullenweg might have been the one who put Alex’s name on board and pushed him to lead the discussion. It was during this session that I was first introduced to the idea of custom post types. This event was one of the most important events on my journey to were I am today, and Alex leading a discussion was a part of it. The following year at WordCamp Portland 2010, I gave the final session of the second day. The room was half empty at this point, but Alex had stuck around to support me. Unfortunately, Alex might have been more exhausted than he had let on as I remember looking at him at one point and seeing him asleep. For a couple years, I encouraged him to give a talk at a WordCamp so I could fall asleep in it. In 2011 at WordCamp San Francisco a small group of us headed out in search of dinner. This is when I found out that Alex was the opposite of an adventurous eater. We discussed multiple places before heading to some chain restaurant that had cheese pizza and I got to enjoy one of Alex’s favorite dishes, but more importantly I got to enjoy a meal with him. Alex and I continued our conversations for years. We never were close friends, but we always remained friends. After his initial diagnoses with Leukemia, I wrote some unit tests with Alex in mind. Alex’s contributions to WordPress were numerous, and his contributions to my life are unforgettable. Whenever I see a Viper, I’ll forever think of a man who was obsessed with cars but didn’t get his license until his mid twenties. Tonight I raise my glass to Alex, Viper007Bond, Mills. WordPress has allowed me the opportunity to meet hundreds of people first online and then offline, but Alex “Viper007Bond” was the first. When I first started getting involved in WordPress, I spent many late nights in the IRC #wordpress channel on freenode, at first seeking help but then providing it. Viper was commonly there helping others and likely answered more than a few questions of mine as well. He’s been publicly battling leukemia for 2.5 years. His blog is a great tale of the ups and downs of cancer. Alex and those that care about him are in my thoughts right now. On view at the Whitney until 10 March, this exhibit on the top floor is one encompassing sound and visuals. Featuring the motor from a cotton gin and giant sculptures with Cotton, it explores race, history and the evolution of America. Lara has done more to change my opinions on CSS than anyone else. This post is a companion piece to a talk she gave at WordCamp US and one that everyone web developer should read. 13 people have made over 1000 commits to WordPress core over the past nearly 16 years. Gary Pendergast joined the club during the 5.1 release. Overall, there have been 44767 commits so Gary’s count only represents 2.2% of the total activity. My friend Adam recommended this talk as a good deep dive into git. One thing I often preach is the importance of understanding the tools you use on a regular basis. It doesn’t matter what editor you use (but really, it should be vim), what matters is knowing how to use your editor. The same can be said for git. Git is much more powerful than git commit, git push, and git pull. The piece I used yesterday? git checkout master -- filename.jsto revert a single file in a branch that didn’t actually need changes. Do you live in or around Grand Rapids? If so I highly suggest checking out The Tom Brown at Laugh Fest in March. You will laugh your socks off. This collection of mostly JSON REST APIs has everything from APIs around art, music, and photography to weather, news, and NFL arrests. It’s a great first stop if you are looking for a data API. I finished my first new canvas of 2019. MoMA’s spring exhibition includes a show featuring everyday objects, the types that it’s feasible to find in our homes. Brooms, Rakes, Chairs, A Slinky. With an emphasis on work that appeared in shows from the 1930’s to 1950’s, there is plenty of Eames, Saarinen, and Bruan to make any home goods nerd geek out. In addition to the main section of the show, there is a small lab where you can couch and sit on some of the items on display. It’s open until June 15. Describing itself as “Write, Plan, and Create Infrastructure as Code”, terraform allows for almost every part of your infrastructure to happen as code. You can thus keep your DNS in GitHub. You can keep your GitHub config in GitHub too. Odds are, you aren’t running PHP7.3 yet, but that doesn’t mean work hasn’t started on PHP7.3. Heck, 8.0 is already being planned. It’s still early, but coalesce assignment is my prediction for what is going to cause the most useless arguments and also be the biggest win. Inclusive Design: Who’s Opportunity is it? My friend David uses his journey to help explain how inclusive design is a win for everyone. He looks at Inclusive design as an opportunity for business, content, quality, performance, and people. Definitely was one of the best things I read this week. LACMA is the largest art museum in the western United Stats. On my first visit, Chris Burden’s kinetic sculpture stood out to me. I like art that reminds me of the building and imagination you do when you are young. 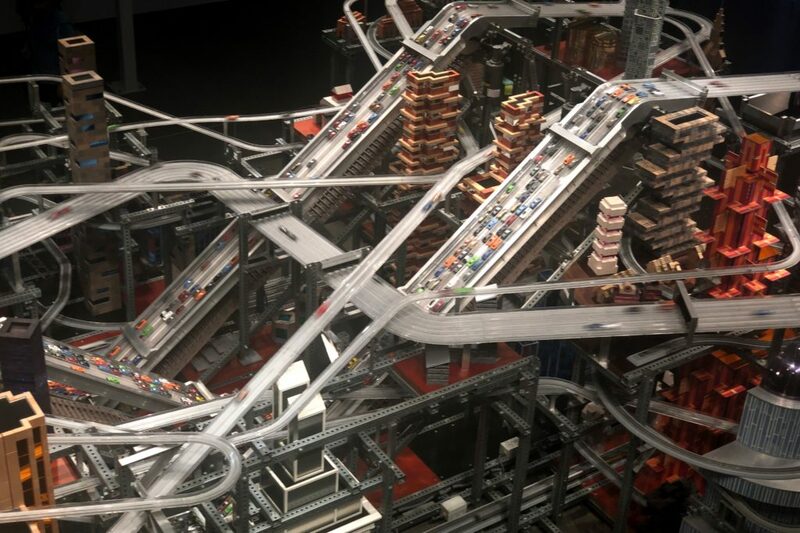 Metropolis II is a massive sculpture that features cars and trains traveling around a city. 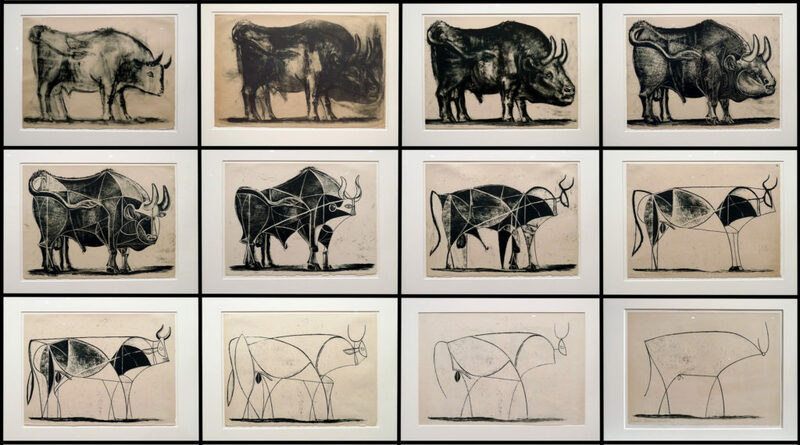 Picasso’s lithographic drawings of The Bull start as a full picture of a bull and over the course of the drawings, become more abstract and minimized to only a few lines. But it is still clearly a bull. Apple incorporated this into its design education. The continued minimization and removal of elements is evident. A phone is still a phone without a headphone jack, and a bull is still a bull when it is made with simple lines. This “how we built this” article explores all the work that went into the Force Report Database from NJ Advanced Media. Awesome to see data reporters sharing not just the outcome (in this case a tool to help the residents of New Jersey understand police use of force) but all the steps and missteps it took to get there. The lessons learned at the bottom could also make it easy for other places to replicate this reporting. Eddie Eagan is a unique individual who did something no one else has done: he won gold medals at both the Winter and Summer Olympics in different sports. When we think about “The Greatest Athletes”, we often talk about people who dominated in one sport. Eagan’s medals came in the radically different fields of Boxing and Bobsleighed. And that is only the start of his story. This comprehensive overview of Nauman’s work takes place at both MoMA and PS1, and I couldn’t imagine it any other way. Nauman’s art isn’t easily categorized, he moves across mediums, themes, and styles with the appearance of ease. One of the parts that stuck with me was Nauman’s opinion that by deciding to create, anything he made could be art. I’m an artist. I want to be in the studio. I want to be doing something, and you just get desperate, and so you just do whatever’s at hand, and you don’t even worry about whether it’s going to be interesting or not interesting to anybody else or even yourself. You just have to make something. I’m a big believer that personas are a tool that make software development better. They help fight the false perception bias that we all suffer from and give us makers an idea of who we are making software for. I’ve gone so far as to use personas for event planning. This overview doesn’t just cover why personas are important, it also explores how to go about making them. Signal Problems, a weekly newsletter helping you figure out what is going on with the subway, made every week by Aaron Gordon, freelance transportation reporter. Read on the web or view the archives at signalproblems.nyc. I am a firm believer that software and web development can learn a lot from other disciplines. Much as Akin’s Laws of. Spacecraft Design can be easily modified for the web, I think these lessons from Jerry Madden, the former Associate Director of Flight Projects at NASA Goddard Space Flight Center, can also be valuable. One that stood out to me, since it seems so incredible accurate, is lesson #14. 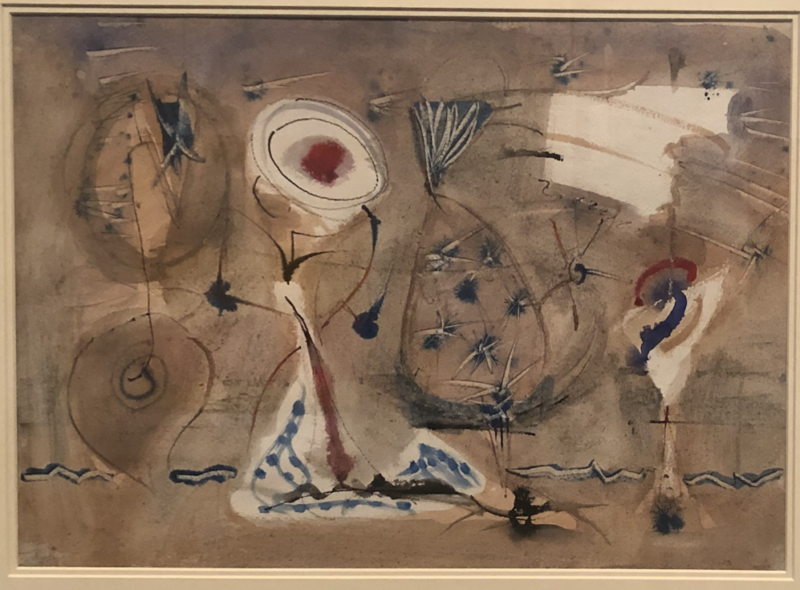 Mark Rothko is often thought of for his large “multiform” colorful paintings, but The Met’s Epic Abstraction show also includes a few of his watercolors. It’s a nice reminder to not be siloed into what we are most known for. Overall, this show lives up to its name and features many epic pieces of abstract art. It has no end date currently scheduled, but I have a feeling that it will depend on the construction of a new modern wing. When this first came out, I watched the first two episodes but never really fell into it. Then over the last month my entire family seems to have all watched this separately. It’s funny, sad, and displays the same level of intellectual dialague that Amy Sherman-Palladino displayed with Gilmore Girls. Over the last four years, I’ve gone from regularly using one pair of shoes to having a number in regular rotation. I’ve mostly bought them second hand, but I’ve also taken the time to learn about Goodyear Welts, and even got one pair resoled. Shoes are one of the most important articles of clothing that we ware and this overview will help you undersyand the varius parts of the shoe.